So far both profit targets were filled. There were no signals yesterday. 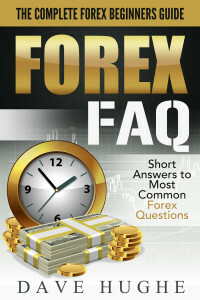 Two Forex signals were triggered today. One of them was a loss and another one was a win. The total result is break even. As you can see we went long GBPUSD today. 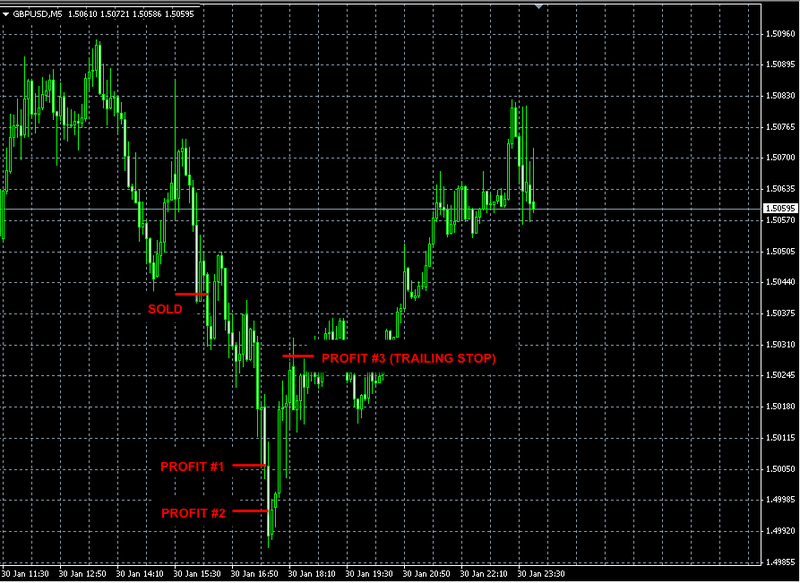 So far, this trade reached both profit targets for a total profit of +74 pips. One more unit is still open with a stop-loss at 1.5148. The pair did not perform as we expected. 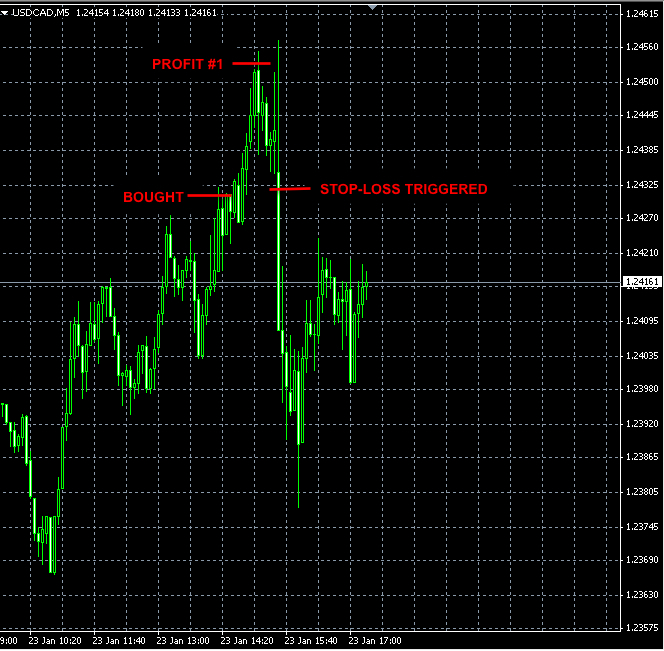 The price just wouldn’t go up so we exited this trade with a small loss of -24 pips. These trades are related. Therefore the risk has to be split between them. 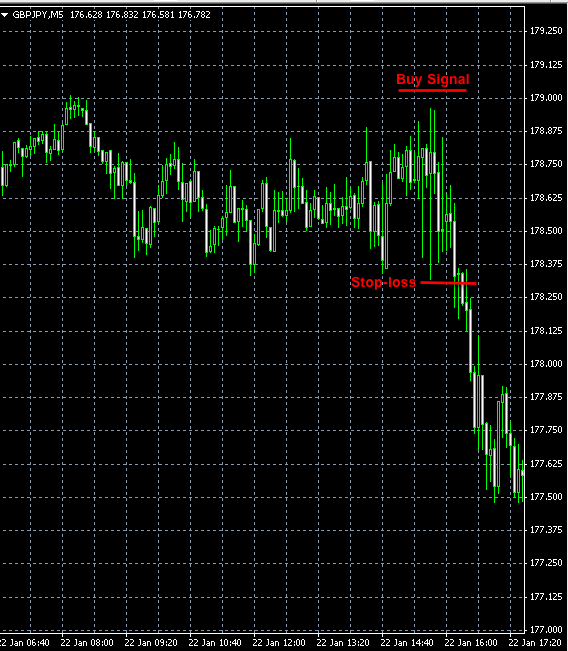 The USDJPY order was cancelled later. 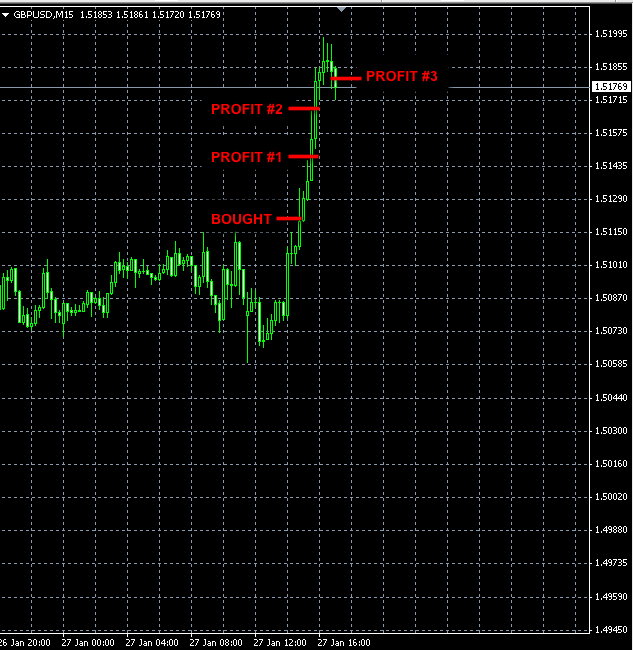 The USDCAD order was triggered and reached its first profit target for the profit of +17 pips. The remaining 2 units were closed at the break even. For the majority of our subscribers this order was not triggered. 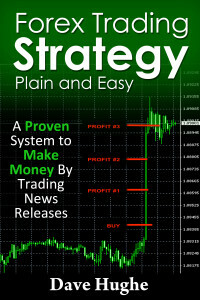 Unfortunately, some brokers did fill this order and as the result a couple of our subscribers incurred losses. 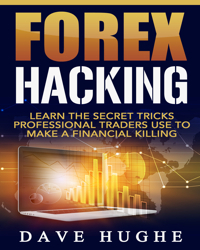 Therefore, for the statistics purposes we are going to count this trade as a half-loss and subtract -111 pips from the total trading results for this week.